Being a mystery shopper is one of the many opportunities that you will find to earn extra money. It will basically pay you to go to retail stores and pretend to be one of the customers there. One such company that offers this opportunity is Sinclair Customer Metrics. They will pay you in cash for completing a mystery shopping job. The money you can earn here will vary on the kind of mystery shopping job you will get and on the number of opportunities your area provides. On the average, though, it is possible to earn $15 to $20 a week with this opportunity. But is this a legit chance to be a mystery shopper or just a scam? Sinclair Customer Metrics is a company that offers businesses a way to test, evaluate, and improve how their stores are performing when it comes to customer service and customer satisfaction. The company hires people like you to become a mystery shopper and conduct the tests and evaluations in businesses’ stores. You will be paid in cash for every assignment you complete. Based on what the company promises, I can say that it is a legitimate opportunity that really provides mystery shopping jobs that pay. As a mystery shopper, you will be paid for every assignment that you complete. The payment is not fixed, though, as it will depend on the kind of job you will be doing. The number of jobs available is also not guaranteed as this is dependent on the area you live in. To be a mystery shopper, you will need to apply via the website and pass a test to showcase your capabilities. As for the earnings, you will see in this review why it is possible to earn $15 to $20 a week with this opportunity. Who Uses Sinclair Customer Metrics? The Sinclair Customer Metrics is designed to be used by two groups of people with one being the businesses who want to see how their stores are performing and what they can do to improve it. The other group are people like you who are looking for flexible work to earn extra money. For businesses, Sinclair provides clarity and purpose to how they are serving their customers. The beauty of the service they offer is that the company can design a measurement program for their clients, to cater to their specific objectives. This allows businesses to have a personalized measurement of their stores, allowing them to really gauge what they want to see and determine about their stores. For people like you, Sinclair Customer Metrics provides you with an opportunity to earn extra money on the side by becoming one of their mystery shoppers. The opportunity is flexible, as you can choose the assignment you want to take on, and most of the available ones are just within your area. It is free to become a mystery shopper, you just need to apply, which you can do via the company’s website. How Do You Make Money with Sinclair Customer Metrics? Sinclair Customer Metrics only provides one way for you to make money with them and that is by becoming one of their mystery shoppers. You will be paid in cash for every assignment that you complete. 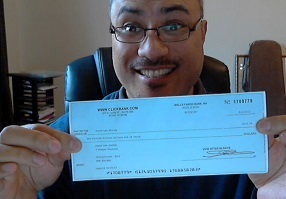 The money you earn will be sent to you by check and the company pays every month. There’s no need for you to request for withdrawal, as it will be done automatically. The payment you will receive is the money you earned the previous month. Now the first thing that you should do would be to apply, which you can do on the company’s website. To apply, you will need to fill in an application form, complete your profile, and agree to the company’s terms. The application process will also include the need to pass the New Shopper Challenge. The test is basically a way to gauge how good you are at understanding and following instructions. The test can take about an hour long and you will need to pass it successfully to get accepted. Once you are accepted, you can start looking at the assignments available in your area and start the process of being qualified to take them. Yes, Sinclair has a process of requiring that you qualify first for an assignment before you can take it. The process involves reviewing the instructions and passing a test, which requires you to be correct 100%. The process will likely take you 45 minutes to complete. The beauty of it is that once you have passed and qualified to take an assignment for a particular store, you won’t need to take another test for assignments that come from that store. For example, you took and passed a test for an assignment from Starbucks. This means you can now take any assignment that come from Starbucks without the need to take another qualifying test. As a mystery shopper, you will basically be tasked to visit the store and perform some things there to test and evaluate the store. Once you are done, you will need to submit a report about your experience. The company will pay you $5 to $20 per completed assignment. The high paying assignments are the ones that usually require you to make a purchase. Sinclair Customer Metrics will reimburse a portion of what you paid for the item and pay you your fee for completing the work. There will be times the company will add a bonus on an assignment. These are the assignments that are not so popular, so they add a bonus to entice members to grab it. The assignments you get will be dependent on your location. So if you live in an area where there aren’t that many brands, chances are you will only get a few assignments a week. Sinclair Customer Metrics will pay you by check each month and there’s no need for you to request it, as they will automatically send it to you. The money you get is what you earned from the previous month. Now that we know more about Sinclair Customer Metrics and what they offer, it is time to discuss what is good about the opportunity. The first good thing about Sinclair Customer Metrics is that they don’t have a minimum cash out requirement. The company will send the money you earn, via check to you, every month. This will be done automatically, so no need to worry about requesting it. It’s also good that Sinclair Customer Metrics doesn’t have a requirement on how many hours you need to be online or how many assignments you need to complete in order to get your money. The opportunity is really flexible, which means you can do it on your own terms and own time. It is free and simple to be a mystery shopper. You just need to fill out an application form, complete your profile, and pass a test to become one of their mystery shoppers. As good as the opportunity sounds, there are also things that are bad about what Sinclair Customer Metrics Offer. The first thing that can be a problem with a lot of mystery shopping opportunities, is that the available assignments are location based. This means that if you don’t live in a big city or area where there are a lot of stores of popular brands, then the assignments available to you could be limited. This can limit how much you can possibly earn from this opportunity. Sinclair Customer Metrics also don’t fully reimburse you for the expense you incur while doing the assignment. This means that if an assignment requires you to purchase an item, the company will only reimburse a portion of it. Granted, the pay is usually higher if it requires purchase, but since you’ll be spending money, the high pay becomes smaller. This can also be a problem if the item purchased is something that you won’t really use or need. Is Sinclair Customer Metrics to be Recommended? After learning more about what Sinclair Customer Metrics offer, I don’t really feel that the opportunity this company offers is something I would recommend, but you can check it out if you want. The main reason why I don’t fully recommend this opportunity is that it is not one of the popular mystery shopping sites available. This result in lower assignments available compared to other mystery shopping opportunities. I’m also not a fan of the company not fully reimbursing you for items you would purchase for an assignment. You’re likely here because you want to earn extra cash, which makes every dollar count. Since Sinclair won’t reimburse you fully for an item purchased, you’re not able to maximize what you’re supposed to earn. You can still check it out if you want, especially if you’re someone who enjoys shopping. Maybe what Sinclair Customer Metrics offers will appeal to you. Just don’t expect to really earn big here. It’s possible to have an average earning of $15 to $20 with this opportunity. But this will only happen if you live in a big city with a lot of popular brand stores.